(12/18/2015) Based on a post online, they were not charged with the fixed guide fee. They visited last weekend. It’s best to call first before visiting, here’s the number of the barangay: 0921-375-5825 & 0928-975-9752. (11/23/2015) Based on a post by a recent visitor, the guide fee is now fixed at P650 for 5 people. If you’re a group of 6 you will be charged another P650. It’s best to come in groups of 5. We have not confirmed this personally with the brgy. If ever you are planning to visit, here’s the number of the barangay: 0921-375-5825 & 0928-975-9752. After the rainy season is the best time to go to different waterfalls – trail is drier and less muddy making it relatively easier, it’s not as crowded compared to summer and gushing water is just enough to swim or wade. 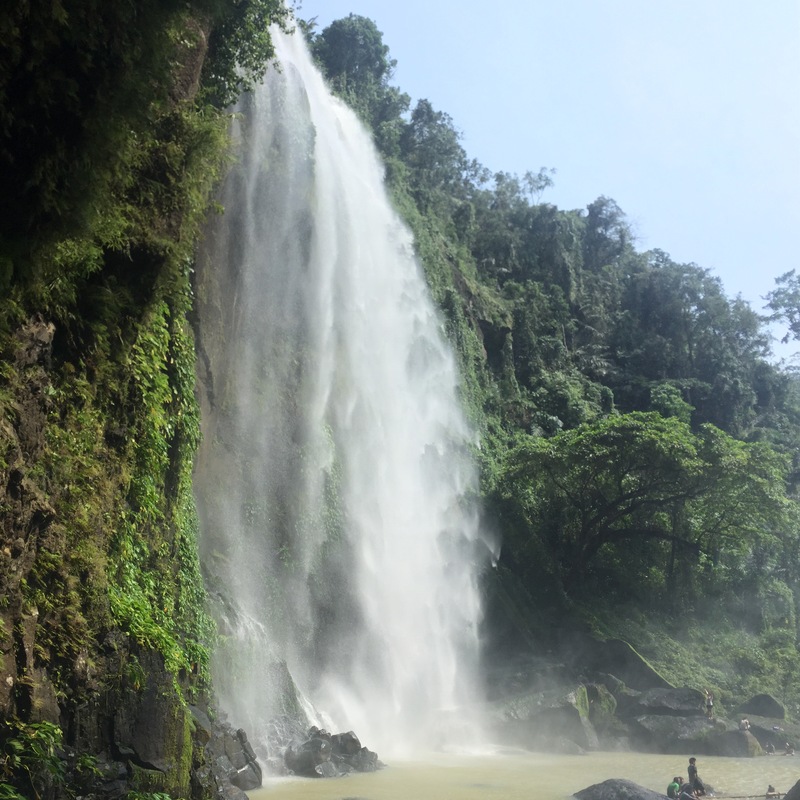 Luisiana (pronounced as loo-sha-na) in Laguna hides more than a couple of grand waterfalls that are less popular than its neighboring town Pagsanjan, but are more budget-friendly and less touristy (for now). We strongly suggest you visit Hulugan and Aliw Falls now before the local government finish the road to the falls. 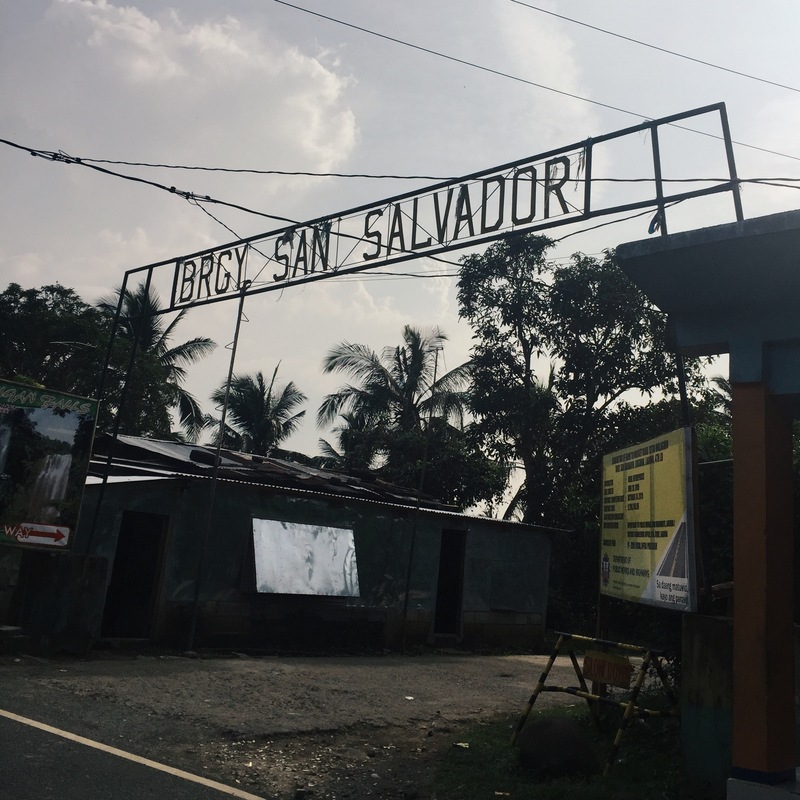 The jump-off point is in San Salvador, a baranggay in the outskirts of Luisiana. Luisiana is between Pagsanjan and Lucban. By public transportation: Ride a bus bound to Sta. Cruz, Laguna via Calamba. There’s a terminal both in Cubao and Taft. Once in Sta. Cruz, ride a jeep bound for Luisiana. You can ask the driver if it passes by San Salvador. If not, ride a tricycle from Luisiana to San Salvador. By private transportation: Take Calamba exit in South Luzon Expressway (SLEX) going through Pansol, Los Banos, Pila, Sta Cruz and Pagsanjan. About 30 minutes from Pagsanjan, you’ll find the San Salvador arc on your right past a waiting shed. Turn right and park in front of ‘Kap’s house’. 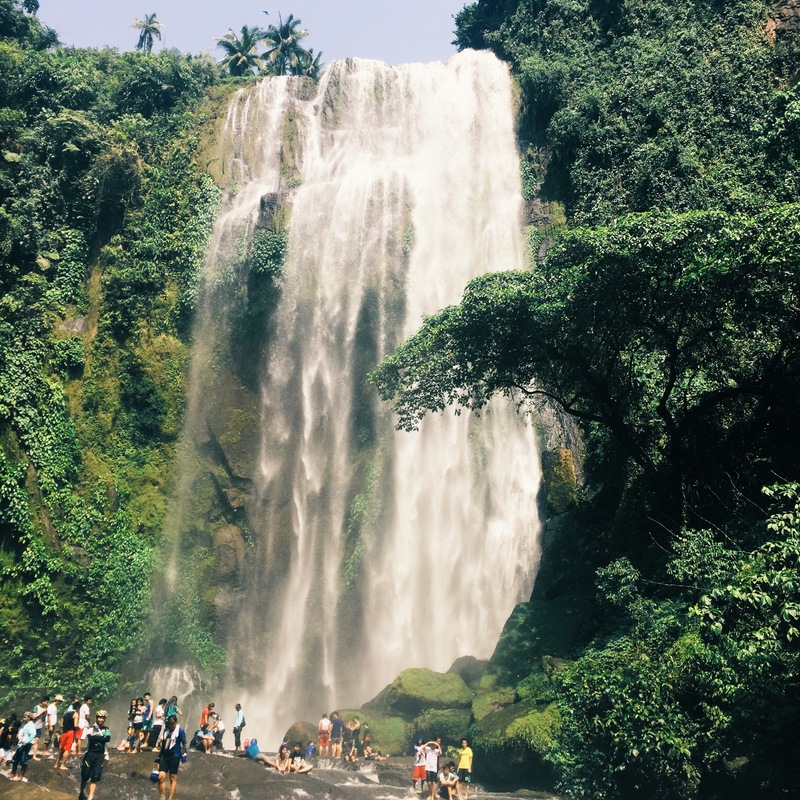 It is possible to day-trip Hulugan Falls (together with Aliw Falls) but if you plan to stay the night, the nearest town where you could stay the night is Cavinti or Lucban. We recommend staying in Lucban so you could experience it’s quaint laid-back culture. Here’s a list of hotels in Lucban, Quezon. 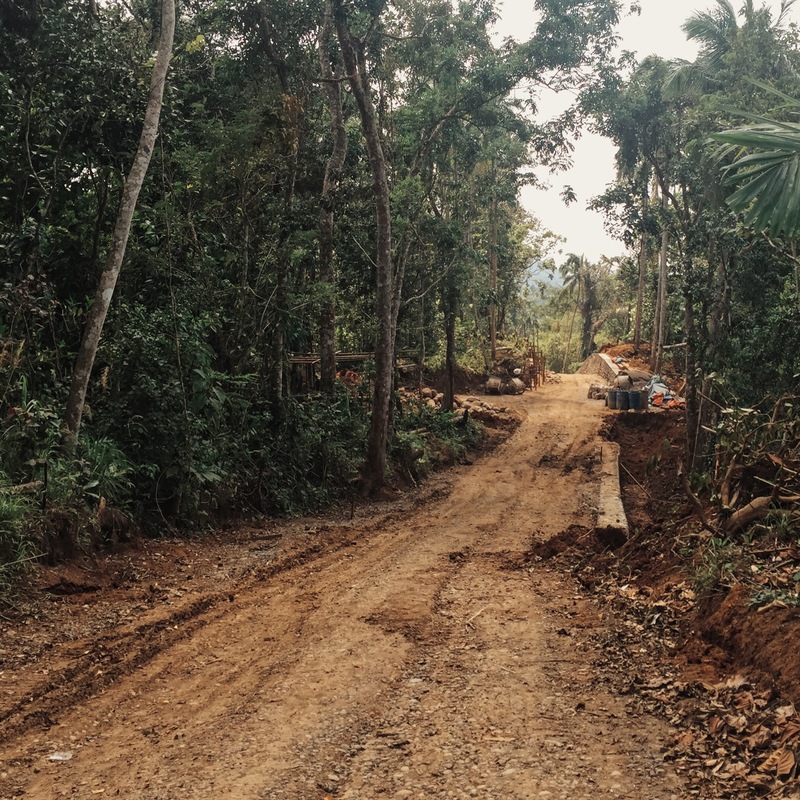 The road to Hulugan Falls won’t feel like three hours because of the numerous towns you’ll pass by. If you’re traveling in a group, we recommend bringing your own car because 1. It’s just 2-3 hours away and 2. you can be more flexible with your itinerary. Looking for San Salvador may be tricky because there’s only one sign along the zigzag road pointing to the falls. Don’t hesitate to ask the friendly locals in case you feel lost. Upon entering San Salvador, a group of locals are waiting to assign guides. The guides are provided by the local government to prevent mishaps or getting lost in the trail. 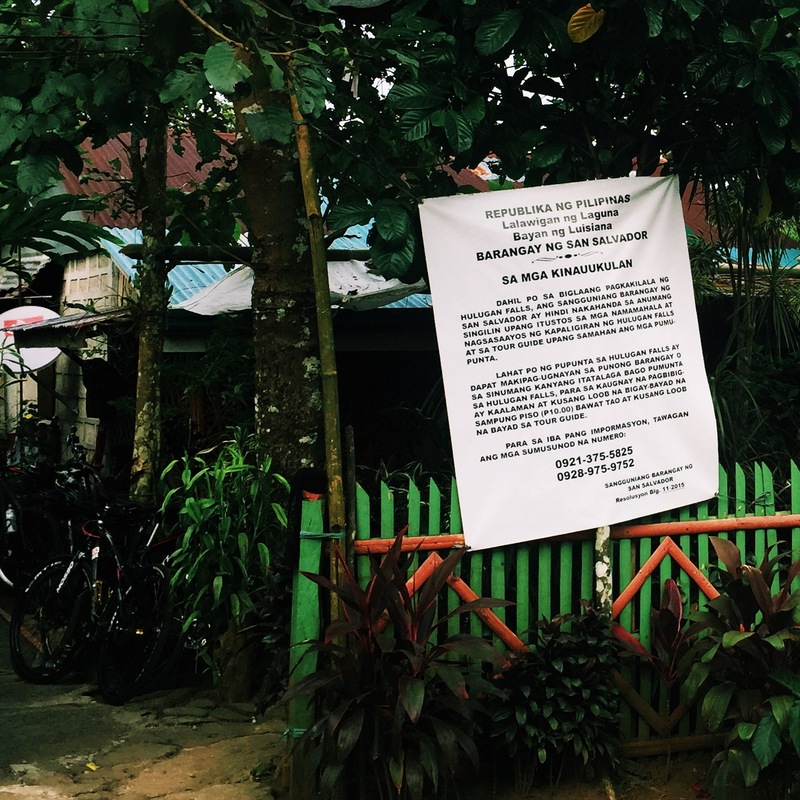 The guide will lead you to ‘Kap’s house’ (baranggay captain, we assume), where you’ll register and pay P10 as entrance fee. There’s also a sari-sari store and bathroom there. There are two trails going to Hulugan Falls. You can choose between short and steep, or easy but longer. Though time difference is only 30 minutes (steep trail) vs. an hour (easy trail). We chose the steep trail going down and the easy trail going up. The easy trail passes by the top of the falls where you can also swim. While descending to the falls, you will already hear the cascading rush of water from the 235 ft. drop of Hulugan Falls. The soaked trail is also a sign that you’re near. Once you get to the bottom of the falls, there are different ‘levels’ where you can sit, wade or take photos. We suggest to waterproof your things because there’s a dense mist from the falls. The crowd is a mix of locals from neighboring towns and adventure seekers from Manila. 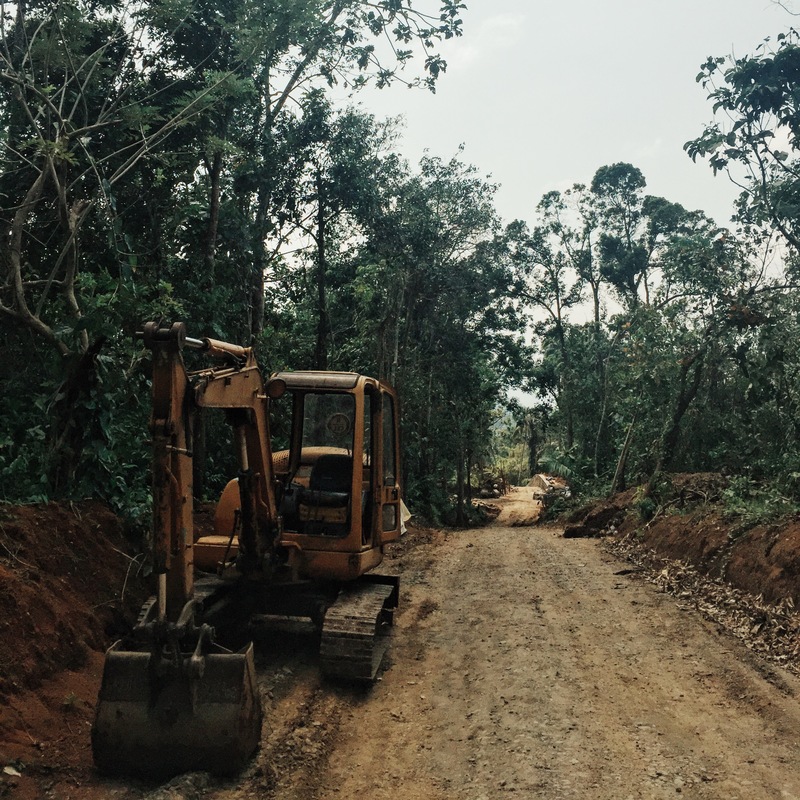 The locals of San Salvador are expecting more tourists once the construction of the road extension finishes next year. You can go around the falls to find a spot where you can sit and rest, or go straight to the water where there are multiple rocks perfect to sit on. There’s no fixed rate for the guides so we just gave him P300 after the trek. There are bathrooms in the houses near the jump-off where you can clean up for P15. 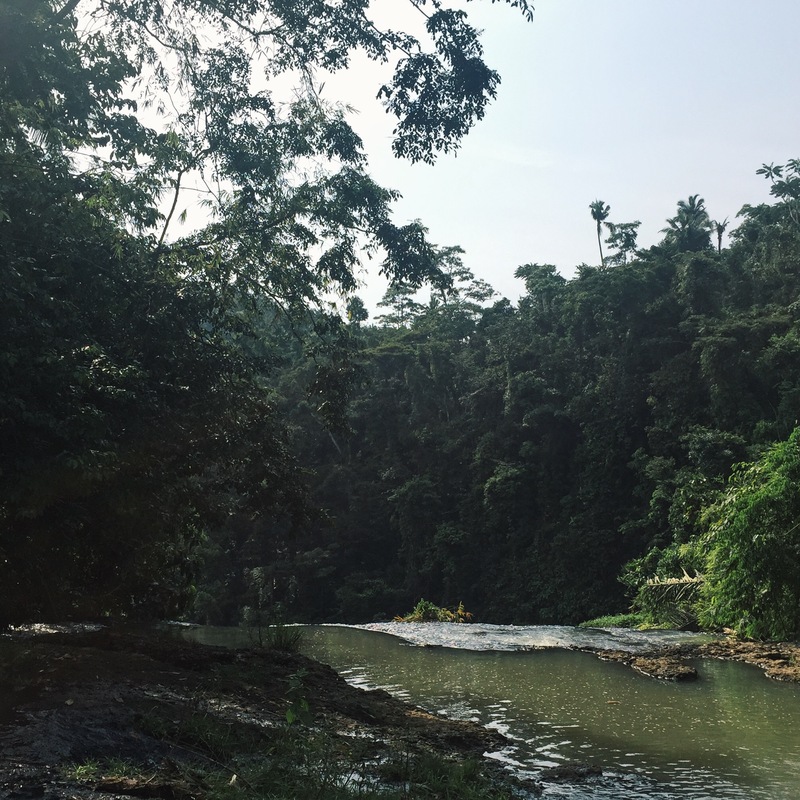 If you have more time, do check out Aliw Falls (Read: Aliw Falls: More Than a Sidetrip) just on the other side of the highway. Trek going down is fairly easy and shorter compared to Hulugan Falls, and from our experience, there are less people. Go now. On the day before we went to Hulugan Falls, our guide assisted the producers of GMA for their feature of Hulugan and Aliw Falls. We’re also seeing an influx of posts on social media thanks to its proximity to Metro Manila. If you’re not keen on the crowd, another reason to go now is before the locals or the local government standardize fees and rates similar to Pagsanjan Falls. Our guide also mentioned that the local government is planning to build a dam on top of Hulugan Falls. When traveling in groups, bring a car. There are a lot of towns beside Luisiana for sidetrips: Los Banos, Pagsanjan, Pila, Majayjay, Liliw, Lucban, Lucena, etc. Each town has its unique charm and spots to get lost. Avoid going during the rainy season as the trail gets muddy. If you’ve had hikes before, do take the steep trail going down as the guides already tied bamboos along the trail. Go during the weekdays if you want to avoid the crowd. Pwede po maka hinge ng cellphone number sa tour guide , pwde po bang over night stay? magandang hapon po! !..paupdate naman po kme s trekking nyo s hulugan falls..maraming salamat po! !..